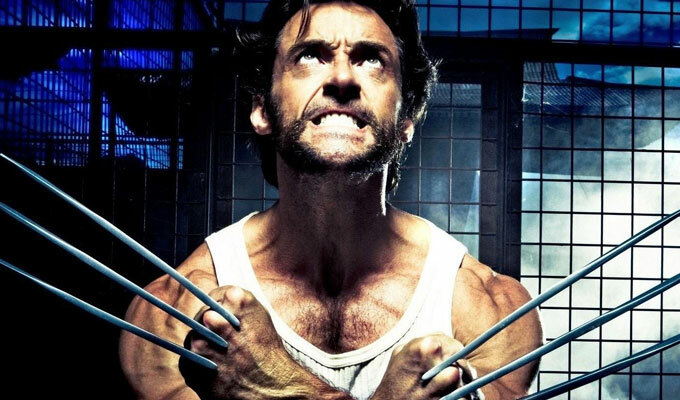 “Wolverine 3” is now filming around the NOLA area and looking to cast some small roles. The production has a need of various background actors for upcoming scenes filming later this month. Marvel’s upcoming 3rd installment of the “Wolverine” X-Men spin-off feature began production in New Orleans just a few weeks back and will be filming around the area into this summer. Hugh Jackman is set to return as Logan in Marvel’s upcoming ”Wolverine 3.” The upcoming Wolverine movie has been releasing quite a few casting notices in the past weeks for local talent who would like to work as paid movie extras in ”Wolverine 3.” Director James Mangold, is returning to helm the project for Marvel studios. At the last Comic-Con in San Diego, Hugh Jackman mentioned that the upcoming movie would be his last and will be based on the “Old Man Logan” story from the comics. The story is set 50 years in the future when a married and retired Wolverine who finds himself sucked back into action. There have also been reports that the upcoming Marvel feature will not be a PG rated film. Seems following the success of the recent R-rated “Deadpool,” Marvel may be planning on the final installment of “Wolverine” to carry an R rating. To get booked, please call 678-686-2385 and say you are calling for “Juarez”. You must be registered with Central Casting. Various Roles -0 Wednesday, June 29 OR Thursday, June 30 – OVERNIGHT, Greater New Orleans Area. Looking for men & women over the age of 18, all ethnicities, for various roles that will either be filming Wednesday 6/29 overnight in New Orleans OR Thursday 6/30 overnight in Harvey (about 20 min outside of downtown New Orleans). *NEW FACES ONLY* Don’t miss your last chance to work on this great project! Please send an email with: your name, phone number, current photo(s) and preferred work date to Juarez@CentralCasting.com and put “Night” in the subject line. Thursday, 6/30 – OVERNIGHT SHOOT – New Orleans. Rate: $101.50/12 This is one of the last scenes for this movie so don’t miss your chance! NEW FACES ONLY. ALL GROUPS MUST ATTEND A WARDROBE FITTING THURSDAY JUNE 23RD. Please send an email with: your name, phone number, and current photo(s) to Juarez@CentralCasting.com and put “NIGHT LIFE” in the subject line. Special Forces Military Soldiers-Now casting men, any ethnicity, over the age of 18, who appears to be in their 20s-30s, who can portray a Special Forces Military Soldier. Real military experience preferred.Men must be willing to be clean shaven and have a military style haircut. Filming dates could change so flexible schedules are preferred. FRESH FACE ONLY. Must attend a wardrobe fitting Tuesday, June 14th or Wednesday, June 15th in NATCHEZ, MS. If you fit the above description, please send name, current photo(s), and phone number to: NATCHEZ@CentralCasting.com and put “MILITARY” in the subject line. not sure why this says ‘LA’ in the header? I like to be a extra on the film. I’m originally from New Orleans, live in Arkansas and this is my dream. I want to be a voice over actor for Disney also to work for Disney. I want to be an extra. I am in Arthur all right children’s books pickles playing baseball and all about pickles. I am on Amazon, my books are bestsellers. Would love to be in the cast. I’m 5’5, 23 black, curvy and looking to be an extra.